ST. PETERSBURG, Florida -- Minor League Baseball® (MiLB™) today launched Es Divertido Ser Un Fan, a new multicultural fan engagement platform aimed at specifically connecting with Hispanic/Latino baseball fans in 160 markets throughout the U.S. and Canada. The program will debut this August in select MiLB markets, including Las Vegas, Charlotte, North Carolina; Kane County, Illinois; and Visalia, California, with a national expansion planned for 2018. The Es Divertido Ser Un Fan initiative expands MiLB's fan-centric marketing campaign It's Fun to be a Fan, unveiled in March. The Spanish-translated campaign provides teams with an additional option to better connect with and engage fans in culturally-relevant ways. The most recent ESPN Sports Poll report found that more than 18.2 million U.S. Hispanic/Latino individuals identify themselves as MiLB fans, or 17.2 percent of MiLB's overall self-designated fan base. "One of the pillars of Minor League Baseball is to create an environment where all individuals feel welcome and included in our ballparks," said Minor League Baseball President & CEO Pat O'Conner. "It is important to us that our teams are reflective of the communities in which they reside, offering a memorable entertainment experience for all members of those communities." With years of research and quantifiable filters helping guide the strategic plan, MiLB targeted the four aforementioned communities as ideal markets to launch the initiative in 2017. Each participating team depicts a unique subset of the U.S. Hispanic/Latino population, with the four markets serving as a representative cross-section of the total U.S. Hispanic/Latino populace. To reflect the unique characteristics of their respective fan bases, participating teams have the option to showcase their communities' distinctive personas through logos on caps and jerseys. The Las Vegas 51s will take the field as the Las Vegas Reyes de Plata ("Silver Kings"), celebrating the city and state's pioneering history at the forefront of the precious metal mining business that continues to define the Silver State today. "The Reyes de Plata name plays off the fact that Nevada is the Silver State and embraces the impact and history that the Hispanic/Latino community had early in the precious metals mining industry that ultimately made Nevada state-worthy during the final months of the Civil War. The Tuesday re-branding that will occur during August games is something that is unique in professional sports and goes beyond one-off heritage nights," said Las Vegas 51s General Manager Chuck Johnson." Per Nielsen and Pew Research, in the past 15 years, the 10 U.S. states with the fastest-growing U.S. Hispanic/Latino populations were home to 45 MiLB teams. One of those states is North Carolina, and Charlotte is one of the fastest-growing emerging Hispanic markets in the country. "We look forward to introducing the Charlotte Caballeros, and fans will notice the Caballeros' name and associated themes integrated in their experiences at BB&T Ballpark and in the community," said Charlotte Knights' General Manager Rob Egan. "We will feature special concession items, public address announcements in Spanish, player features on the video board and a festival with live music during our introductory weekend of August 18-20. Additionally, we will be strengthening our bond with the Latin American Chamber of Commerce Charlotte and the Puerto Rican Cultural Society of Charlotte, as well as volunteering and raising funds for Circle de Luz, a group whose mission is to empower Hispanic girls and young women through mentoring, programming and educational scholarships." Of the five counties surrounding Chicago's Cook County, Kane County, Illinois, has the largest population of U.S. Hispanic residents. "Our goal has always been to provide affordable, family fun for all area residents," said Kane County Cougars Vice President and General Manager Curtis Haug. "Our Spanish-language outreach will encourage even more families to enjoy Kane County Cougars baseball." As the 14-largest U.S. Hispanic/Latino DMA, Visalia, California, boasts a prominent Mexican-American farming community, and a long-standing position as one of the premier dairy-producing regions of the world. The Visalia Rawhide, who will become the Visalia Toros ("Bulls"), saw this program as an opportunity to further engage their Hispanic/Latino fan base. 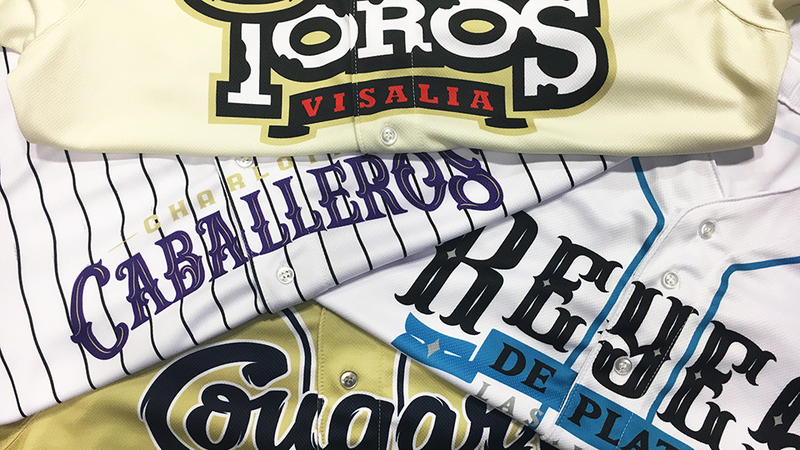 "The team's rebranding pays homage to California's Central Valley agricultural empire and the people who make it a wonderful place to call home," said Jennifer Reynolds, General Manager of the Visalia Rawhide. "To kick off this year-long celebration, we will host Taquiza y Toros so that everyone can enjoy great family-friendly entertainment at our ballpark, no matter what language he or she speaks." Fans can join the Es Divertido Ser Un Fan conversation, share their experiences and exchange stories using the hashtags #MiLBEsDivertido and #MiLBIsFun. Minor League Baseball, headquartered in St. Petersburg, Florida, is the governing body for all professional baseball teams in the United States, Canada and the Dominican Republic that are affiliated with Major League Baseball® clubs through their farm systems. Fans are coming out in unprecedented numbers to this one-of-a-kind experience that can only be found at Minor League Baseball ballparks. In 2016, Minor League Baseball attracted 41.3 million fans to its ballparks to see the future stars of the sport hone their skills. From the electricity in the stands to the excitement on the field, Minor League Baseball has provided affordable family-friendly entertainment to people of all ages since its founding in 1901. For more information, visit www.MiLB.com.